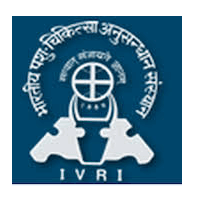 IVRI Recruitment 2019 – ICAR-Indian Veterinary Research Institute (IVRI) notifications for the post of Assistants. The detailed eligibility and application process are given below. Educational Qualification: Candidates must be a graduate from a recognized university. The selection of candidates will be based on Online Competitive Examination. Application Fee: Rs. 200/- (No fee for SC/ST/PWD & Female candidates). Mode of Payment: Demand draft – Drawn in favour of ICAR Unit, IVRI payable at Bareilly. How to apply IVRI Recruitment 2019 for Assistant? All interested and eligible candidates can download an application form in IVRI website (www.ivri.nic.in) and send duly filled application form along with required documents to the following postal address on or before 30 April 2019.